Why not play a little game of basketball in the comfort of your bathroom? 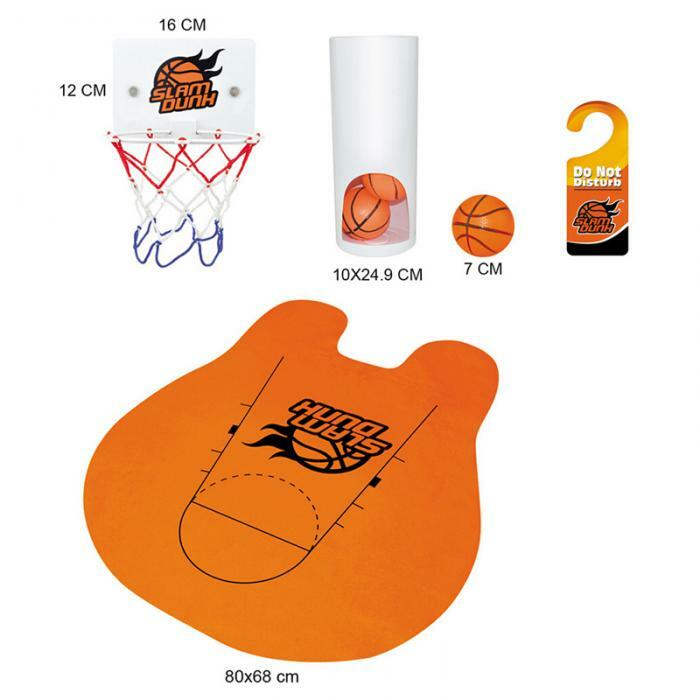 With this complete set of bathroom basketball game you get a rug, three tiny balls, a basketball holder for the balls, a do not disturb sign for your bathroom door, and a basketball hoop for your bathroom. Enjoy and make as many swishes as you can on the can. Try to break your all-time record each time you can. We do ask that you be considerate to limit your game time, if others are waiting to use the bathroom.